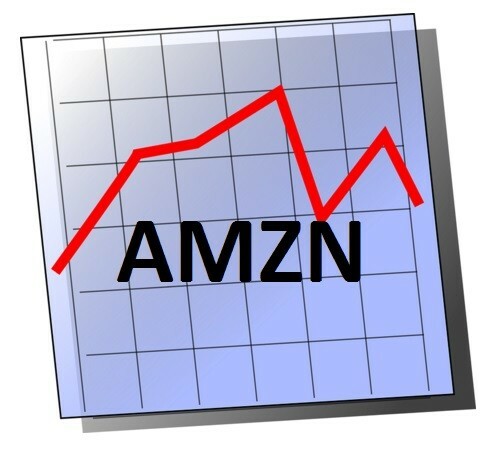 If you are looking to invest into a solid company, you may want to consider Amazon.com. Why should you buy Amazon.com shares? Amazon is led by a super-effective businessman, the company has been growing by 20 to 30% a year, and it now has the largest share of a rapidly-developing new market – cloud based services. Should You Buy Amazon Shares? Amazon.com, Inc. is the largest company in the e-commerce world. It started operating online in the very beginning of the commercial Internet, so to speak. It was founded in 1994 as a bookstore, and the online website was launched in 1995. If you ever wondered about the name of the company, it was indeed named after the Amazon River, which is the deepest in the world. After the success with book sales, the website started selling music CDs in 1998, and later the same year also video. Later on the assortment started to also include MP3, software, video games, electronics, clothing, furniture, food, and toys. The company successfully survived the 1995-2001 DotCom crash and became the largest online retailer in terms of capitalization (almost 264 billion dollars). The founder, Jeff Bezos turned the company from a modest bookstore into the huge retailer we know today. In 2007, the Kindle ebook reader was launched and became an immediate success. Currently Amazon.com has 34 categories of goods including ebooks, consumer electronics, household goods, sporting goods. Besides consumer goods it is now also engaged in wholesale B2B services and express delivery services. The company’s subsidiaries outside the US are: Brazil, Canada, Britain, Germany, Japan, France, Italy, Spain, India, and China. Last year Amazon’s revenue from online sales totaled ~76 billion dollars; media content sales raised ~23 billion dollars. And another ~8 billion dollars was received from the Amazon web services (AWS) – which is a set of Cloud services ranging from simple storage to complex applications using Amazon’s computing power. Why should I buy Amazon.com shares? Cloud services market is growing fast – in 2016 it has grown by almost 17%. Currently Amazon has 30% share in this market, while other companies like Microsoft, IBM, and Google – no more than 10%. Jeff Bezos is a very active, prolific and smart businessman. He constantly comes up with new successful ideas. The present-day Amazon services and products include: Fire tablet, Fire TV stick, Amazon Prime, Retail goods, consumer electronics, digital content, Amazon Web Services, Amazon Local, Amazon Fresh, and many others. Jeff is continuously looking for new ways to take the company to the next level. For example, a few years ago the company spent nearly a billion dollars on the development of robots that would sort products in the stock. Also, the company is looking into using drones for delivery of their goods, and the tests have already taken place in certain territories including the US. Jeff has enough money for all sorts of experiments as the business is growing by 20 to 30% a year. The company has always had a history of commercial acquisitions starting from 1998 and continuing to this day. Let’s name some of the famous acquisitions by Amazon.com: 1998 – Internet Movie Database (IMDB); 1999 – Alexa Internet database company, drugstore.com and pets.com; 2004 – Chinese e-commerce website joyo.com; 2005 – an ebook software company Mobypocket.com; 2007 – DPReview (digital photography review website); 2008 – audible.com; 2009 – Zappos; 2011 – the Book Depository; 2013 IVONA text to speech software and Goodreads. What do you think: should you buy Amazon.com shares (AMZN) or has this company reached its peak?